Forget about the Pats and the Rams – the real competition this Super Bowl is between meat brands and meat alternatives. Meaty foods like chili, burgers, hot dogs, and chicken wings are all classic game day snacks, and the chicken industry alone sold over one billion wings last year. But between alternative protein brands like Impossible Foods gaining lots of traction recently and vegan-friendly recipes like “buffalo cauliflower wings” earning thousands of pins on Pinterest, the occasion may not be as reliable as it once was for the meat industry. 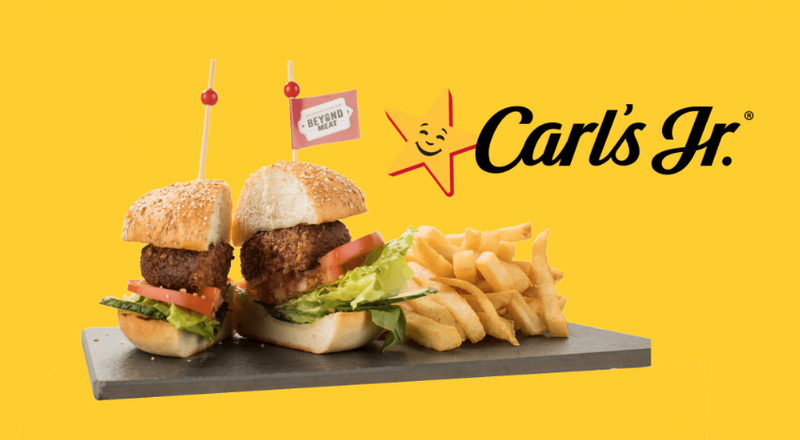 Carl’s Jr. is even set to run the Super Bowl’s first-ever commercial for an alternative meat product, as they are featuring their Beyond Meat Beyond Burger. Jackfruit, while still niche, is also expected to be a strong performer in its category. As a popular alternative to pulled pork, there is a great opportunity for it to be introduced to new consumers at Super Bowl parties. In addition to vegan options, prepared meat brands also faces steep opposition from fresh competitors. According to Nielsen, frozen wing sales have decreased 7.9% year over year, while sales of fresh cooked wings from the deli have increased by 15%. Raw wing sales have increased a whopping 31.4% over the past year. The Super Bowl has inspired special eating traditions for generations. With consumers increasingly going for fresh foods and vegetable-based snacks and meals, the Sunday night party spread is starting to evolve in a potentially significant way.